I always thought that the greatest leaders were not ones that had the idea to dam up rivers but use stones to guide the river’s course. I am truly grateful for the rocks in my life and the thought to give back for the gratitude felt, is a debt that can never be repaid. The only thing left is to make this river flow in a strong direction and make a positive difference by somehow setting up rocks myself. One of the most profound stories in my way of thinking and having a conversation with an Asian gal in college is when it came to the question that I asked “What is your declared major?” She said she would be a doctor. I then replied “That is a very helpful profession that will have a profound influence on society” or something ridiculous like that. She looked at me and said “All professions make a difference and are equally important.” She had obviously never read Dr. Zhivago but the idea that we are all on this adventure together and just pursuing our interests in within the realities that are created per individual. When out on a river making a painting of a stream and thinking of the influences that have lead me to make a single decision of color or swatch size sets everything that has been influenced by actions of the past to translate into something else is the true expression of art. As far as the river is concerned the water that has passed is responsible for its course as well as future destinations. Thank you rocks in my life, this channel is a good one. 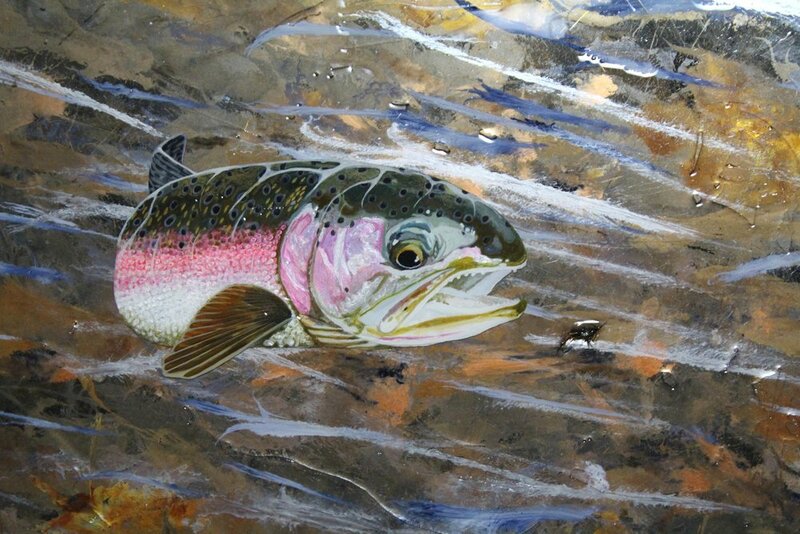 I have many ideas that come from embellishing fly fishing culture through art. Usually these ideas have to be brought into this world and won’t leave my consciousness until they are fulfilled. This is a corner of the site that allows me to process and communicate to the world my anticipation for things to come and the ambitions I will fulfill. Welcome to Dutch Rogue Cove.